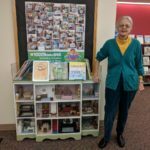 Urbana resident, Marny Ennis Elliott, lent the library her handmade creation. 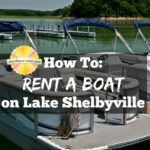 Renting a boat on your summer bucket list? Chambanamom Mindy walks you through the process at Lake Shelbyville. 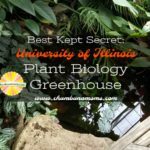 Explore the lush flora and fauna at this Best Kept Secret on the University of Illinois Campus. For families, you can’t beat the entertainment value, the ease of attending, and best of all: the FUN QUOTIENT! 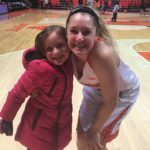 of going to Illinois women’s basketball games. Wondering what this craze is all about? 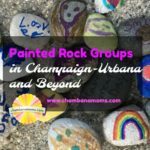 Join in painting, hiding, and finding inspirational rocks that encourage kindness throughout Champaign-Urbana.